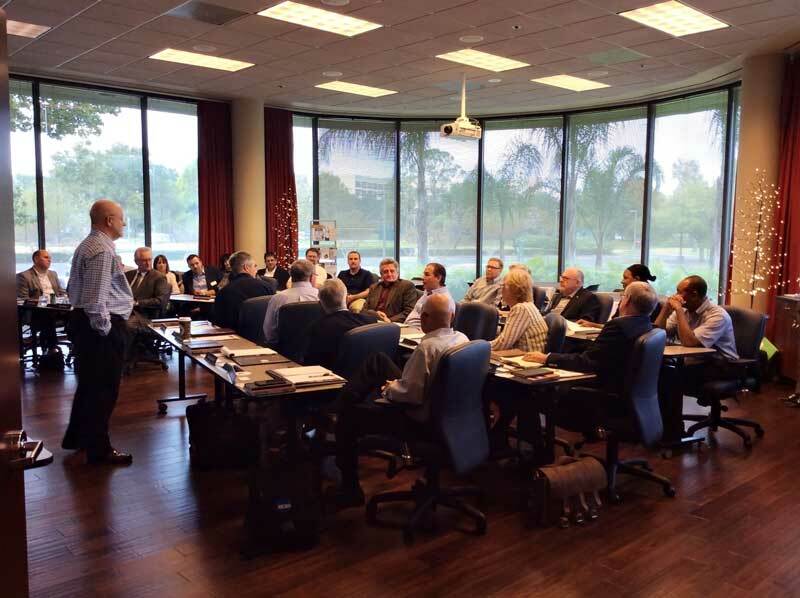 The beautifully appointed Weber Conference Center is available for small conference and training events. How many guests can the Weber Conference Center accommodate? What are the rental hours? Our standard contract for events is for a minimum of four hours. We allow two additional hours (minimum) of setup time for each event. Limited rental hours are also available for evenings and weekends. Holiday rentals are priced separately from above and only available upon request. Your rental provides for use of our conference center furniture and equipment including up to 100 theatre style stacking chairs, 40 high-quality conference task chairs, seating for 40 in classroom style, and six 60” rounds for banquets, podium, and whiteboards. AV services and equipment include WiFi, podium mic and background music. Is there any staff available for the event? All events, including evening and weekend activities, are attended from setup through cleanup by one of our qualified event managers. The event manager is present, should any difficulties occur during the event, to help make things go smoothly between the client (and caterer if engaged) and the Citadel Management, to guard the facility against misuse, and to secure the facility following the event. How are event date “holds” handled? ABHE will hold an event date for 14 calendar days without a deposit. If a deposit is not made within this time frame, the date will be released. To guarantee an event date, we require a non-refundable deposit of 50% of the rental amount plus a separate, refundable security/damage deposit of $150. Can we use our own caterer or provide our own refreshments? In a word, yes. However, use of ABHE servery dinnerware, flatware, glassware, appliances, coffee urns, etc are only included as part of our refreshment services with charges based on beverage and food consumption. These serving dishes and supplies are not available for outside caterers or refreshment suppliers. Due to the nature of our organization and our core values, no alcoholic beverages are permitted for events. Are there any rules about music? The Weber Center is basically a conference center facility. Because we are in a commercial office building, no amplified music is allowed during business hours; acoustic music is permissible. In the evenings and on weekends, live musicians or a DJ may be employed for events. However, due to the size and location of the facility, if a band is engaged, no more than four musicians including vocalists may participate. Due to the limited size of the facility, this center is not available for dances. Do you allow candles or other decorations? While the facility is already beautifully appointed, additional decorations or floral arrangements may be brought in provided that no damage is done to the walls, floor or furnishings. Due to fire code restrictions, no open flame candles are allowed. Candles must be limited to those enclosed in hurricanes or votives.